Hiatus is a low waste cafe, that's what intrigue me the most as well as their food has a charming rustic vibe to it. 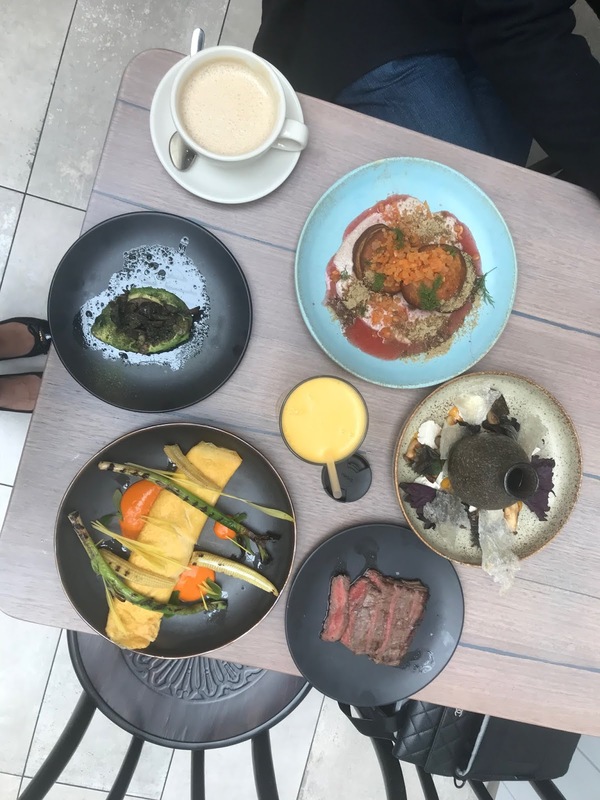 I went in on weekdays, the area is full of good food such as George Colombaris Hellenic Republic, V Series and many more. I was thrilled to see the presentations, so rustic yet charming and modern but the portions seem small. I know I was wrong though at the end of my lunch. Okay, first up; Corn & Crab - crab omelette, chilli ketchup, baby corn, leeks ($20) extra avocado & black olive dressings ($5). The chilli ketchup was so delicious and creamy, perfectly nice with the smooth silky omelette with a good chunk of crab in it. And the baby corn is no understatement, charry taste and crunchy added so much texture to the dish. Whole avocado with olive dressings? Yes, pls. Must try so good. Mushrooms - smoked mushroom broth, tofu, chilli, cured yolks ($19) add beef skirt ($6). I love broth and earthy rich mushroom broth is one of my favourite. I would this all the time on winter days like this. The skirt steak reminded me of Argentinean steak which I love. 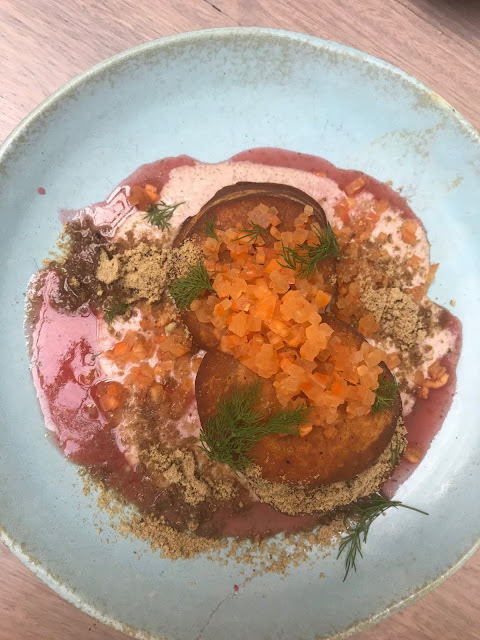 Pumpkin Hotcakes - native plum, persimmon, ginger custard, dill ($17). It's kinda heavy for dessert and it's definitely feeling. Taste nice and warm but not my kind of dessert. My husband loves the hotcakes though.